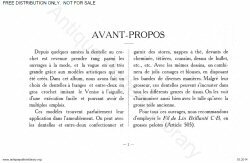 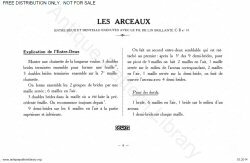 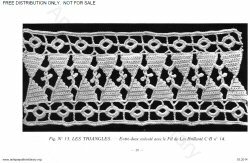 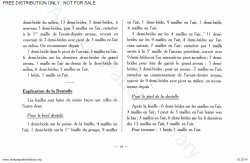 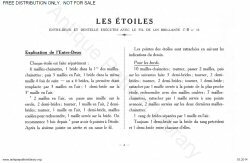 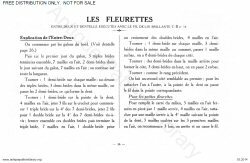 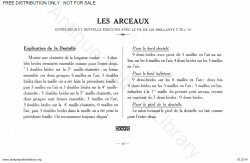 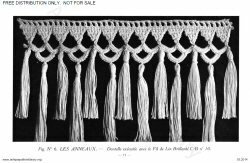 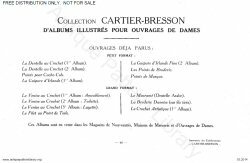 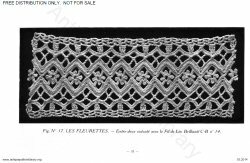 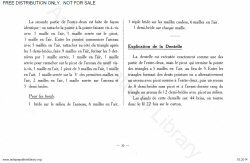 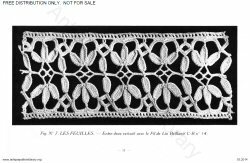 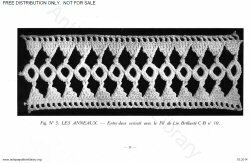 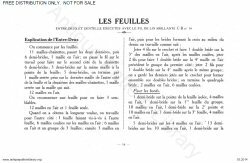 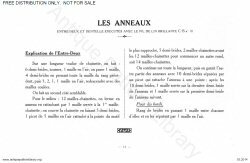 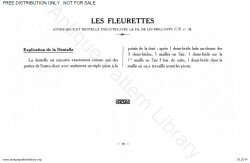 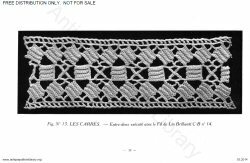 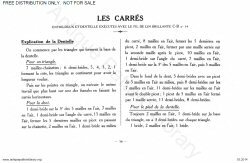 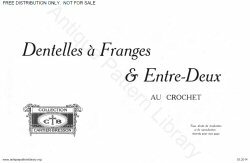 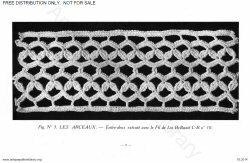 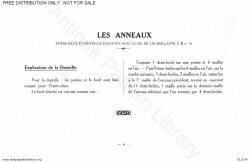 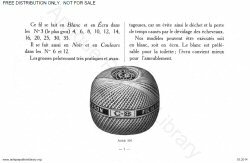 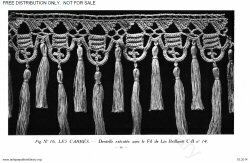 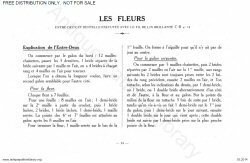 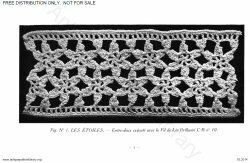 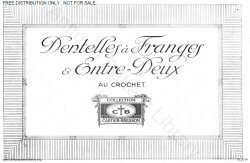 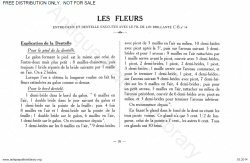 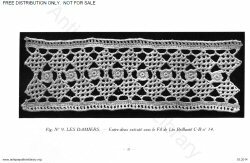 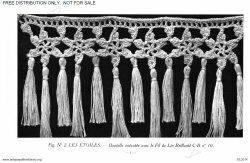 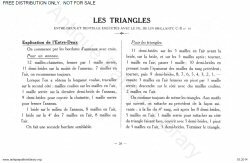 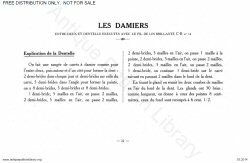 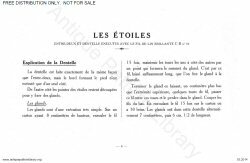 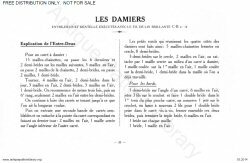 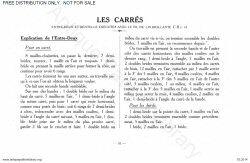 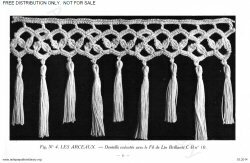 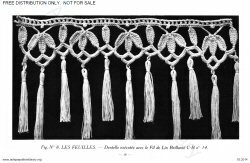 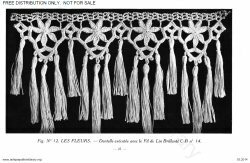 French language prose instructions for nine sets of crocheted insertion strips and their matching heavily fringed edgings. 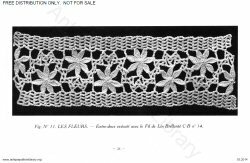 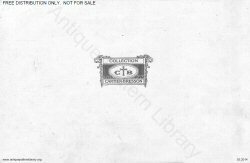 Includes photographs of finished strips and edgings. 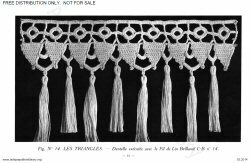 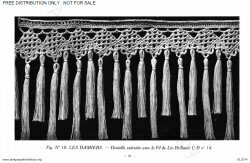 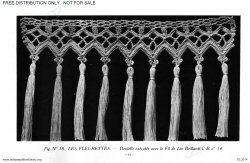 Deeply textured, heavy, yet lacy, these intended to be worked in cotton, and used for curtains, valences, portieres, shelf and mantlepiece trims.